Not so sure how this works? Who can you trust? Skeptical of the credit repair industry? How does all this work? Does it really work? Our criminal laws are written courts in such a way that you’re innocent until proven guilty. Following this reasoning, the Fair Credit Reporting Act was written the same way. So we take the same tact and position as a defense attorney, and we go after everybody that is accusing you of anything, and if they cannot prove their case to the extent that the law requires, then we demand that they remove it from your credit report. Whether a lending institution has turned you down or you’re planning on applying for financing, we’re here to help. We’re ready to work with you through each and every credit issue you might have. Call us today to request a FREE CONSULTATION. Let’s review each line item of your credit profile to better understand what is causing your Bad Credit. Every credit situation is unique and attention to detail is important to credit restoration. Taylor Perez was founded with one vision in mind, to help our clients separate their damaging past from their promising future. The credit bureaus label us with a number, but people are more than a number. Until now, all of us have been forced to accept the costly consequences of that number. Clean Slate Credit Services is in the business of giving people back their good name and freeing them from their crippling number. Banks and lenders are currently demanding higher credit scores for lending approval. Don’t be caught off guard. Start the credit restoration process today with these 3 easy steps……..
• Unlimited dispute of erroneous credit reporting with all 3 credit agencies. • Unlimited dispute of erroneous credit information directly with the creditor on file. • Debt validation request and audit of all questionable collection reporting via certified mail. • FREE 24/7 credit progress report access. • Dedicated consultant to guide you through the entire process from A to Z. We will show you how to fix your credit scores the right way! Our service is all about results. Let us prove it to you! 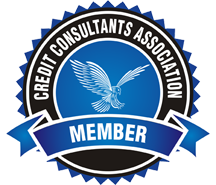 Your Certified Credit Consultant will remain your correspondent throughout the entire process. Our goal is personal service. Don’t fall into the trap of companies that only offer credit restoration through email communicating. Your credit is a serious issue. You deserve personal service! You will have unlimited access to your Certified Credit Consultant and the rest of our staff to discuss any questions or concerns you could have throughout the process. The only thing we require from our clients is that they forward anything received from the creditors and credit reporting agencies to us in a timely manner. The key to the removal of erroneous information is persistence and communication with your consultant. Stick with our system and enjoy an accurate credit profile again…guaranteed!